Slater is the New York Director of the Nuclear Age Peace Foundation, and serves on the Coordinating Committee of World Beyond War. She just wrote the piece “Democracy Breaks Out at the UN as 122 Nations Vote to Ban the Bomb” for The Nation. 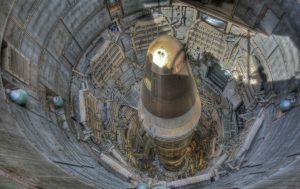 “The Ban Treaty affirms the states’ determination to realize the purpose of the Charter of the United Nations and reminds us that the very first resolution of the UN in 1946 called for the elimination of nuclear weapons. With no state holding veto power, and no hidebound rules of consensus that have stalled all progress on nuclear abolition and additional initiatives for world peace in other UN and treaty bodies, this negotiation was a gift from the UN General Assembly, which democratically requires states to be represented in negotiations with an equal vote and doesn’t require consensus to come to a decision.